When David Cameron returned from the European Parliament clutching his ‘new deal for Britain’ it seemed to me that the concessions that had been granted were minor and didn’t address any of the real problems that the British people wanted resolving in the first place. The whole renegotiation process seemed to be a pre-arranged charade agreed by EU leaders which aimed to fool the UK public into rejecting Brexit and stay in a virtually unreformed European Union. Mr. Cameron knows that anti-EU feeling in the country is growing so he has called for a referendum in just 4 months’ time on the 23rd June 2016. It’s times like these where we will be seeing the establishment whip out any tactic to sway ordinary people in their favour. “EU exit could threaten jobs” and “sterling could lose another 20% of its value” are just two of the many headlines that will effectively scare Britons into voting ‘remain’ and not thoroughly thinking through the consequences of living under a superstate which is, in the words of the late Tony Benn, on board a ‘federal escalator, moving as we talk, going towards a federal objective we do not wish to reach.’. The British people are faced with a once-in-a-lifetime decision – are we to be a self-governing nation or not? The so-called trading bloc has grown into much more than just an economic community, we are now dealing with a union which is inherently undemocratic and starves its member states of the power they once had. A fundamental principle of the UK’s constitution is the fact that parliament is sovereign. However, as a member of the EU, Britain must take all EU law over the statutory law passed in Westminster or the common law ruled by judges and it all, in effect, comes to nothing if the European Parliament passes a law that is conflicting. No doubt, over the next few months we will be hearing endless claim and counterclaim from both sides of the argument, but in reality, no-one can know exactly what will happen if we leave the EU. Brexit will offer Britain a key to the rest of the world as we are relinquished from the harnesses of a powerful few at the top of the European food chain. I only hope that the British public will realise soon enough that we are a strong country, ready to break the status quo and once again trade with the whole world on our own terms, especially with the Commonwealth countries who we so shamefully abandoned when we joined the Common Market. The issue of ‘in or out’ rises above party politics and isn’t a question of whether you’re on the right or the left, it’s whether or not you believe in Britain and its people to govern themselves. If we do leave, whatever happens afterwards will be down to us to tackle as a sovereign state once more. Recently, in the February half term, I had the amazing opportunity to partake in a study visit to the UN. Previously, I had a vague idea of the work and function of the UN, however this experience really gave me a thorough understanding of the UN. Each day I – and 36 other aspiring students – attended three or four talks given by members working for the numerous different organisations within the UN. The organisations we visited varied from the UN Refugee Agency to the World Trade Organisation to the International Environmental House. It was quite surprising to see the sheer scope and multitude of varying tasks that the UN actually carries out. 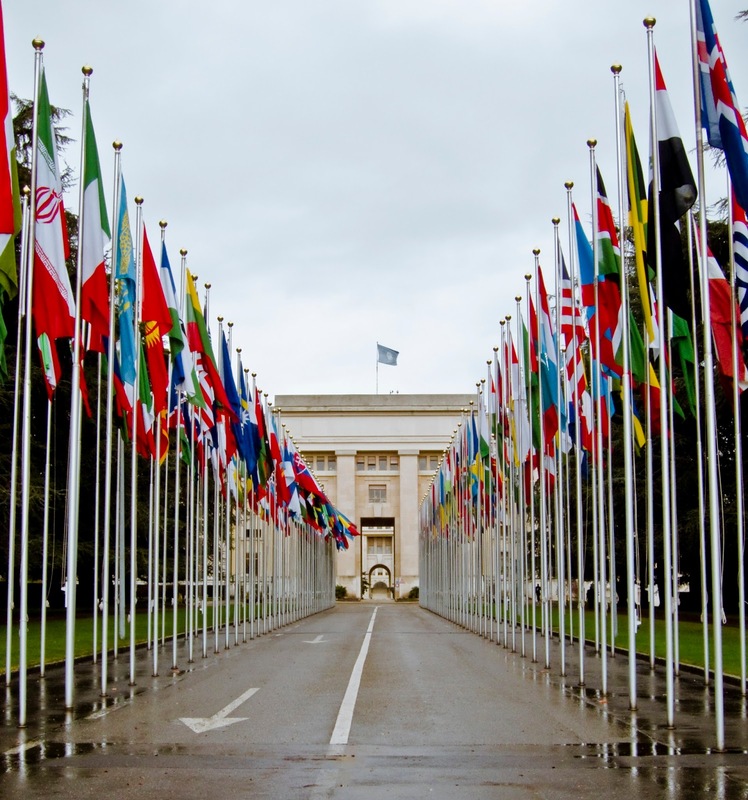 However, it was quite new to hear of how sometimes the UN can be limited in its responses due to having to be politically neutral as well as needing to be invited by countries in certain situations (for example when setting up refugee camps). What was equally as surprising was that climate change and its impacts is a pressing matter for the near future. Climate change was featured in nearly every talk. The impacts of climate change include natural disasters that will result in an overwhelming amount of refugees. This really impacted my understanding that climate change is something that we can’t afford to neglect because we think it won’t impact us much here in England (with our already miserable weather). This helped me understand that its consequences will impact every corner of the world on a large scale, both socially and economically. Overall, this experience gave me the opportunity to meet many passionate people with different opinions and ideas on current issues. 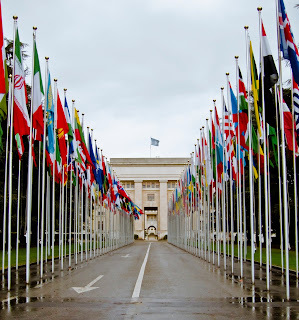 Additionally, this experience helped me gain a deeper insight into the UN – how it has a role and responsibility in so many different things; helping the environment, trading, research on weather and natural disasters, refugees, etc. that I hadn’t previously known or even thought about.